QuickBooks Enterprise lets you manage your business from end to end with ease. Learn how its flexibility and functionality can work for you. Work for Quickbooks Desktop Enterprise? What Accounting solution do you use? This version of quickbooks is one of the best softwares when it comes to producing and giving analysis of financial reports in line with the IFRS standards. it also has an integrated payroll manager which helps in accounting for salaries and remuneration for employees keeping in line with the respective regulations such as remittances to the necessary government bodies such as the IRS and other agencies depending on the country. Quickbooks also helps in customer management such as as keeping track of client accounts and also providing charts which show how the company is performing. The only disadvantage of quickbooks desktop enterprise is that it`s not favourable in terms of applicability when running a small businesses who operate in a different industry thus they need customized apps which will effectively cater for their financial and accounting needs. quickbooks also does offers few financial integrations with other softwares which will enable work to be easier for the end user. Its a great software for bookkeeping, if the user has the right skills and techniques it can give accurate information on the performance of the company which will enable the shareholder to know whether the company is truly achieving its objectives. Quickbooks enables me to view how my company is performing through analysis of the charts and graphs. Quickbooks has also helped me to quickly produce financial statements when needed since it can automatically calculate figures for each respective account and compile the data into a financial statement. Quickbooks has enabled to make faster payments and remuneration of salaries due to their payroll feature. Business partner of the vendor or vendor's competitor, not included in G2 scores. "Quickbooks is a good solution for small-medium company"
The QuickBooks brings the power of the cloud to the desktop. QuickBooks Online organizes your financial information all in one place. QuickBooks will also help you pay your bills when they’re due. It was a good tool to manage the whole sale process, including the aspects of vendors, customers, and employees. You can easily find all the information needed in workplaces.Also it's easer for employees record customer information, and solve problems if they have qustions on their orders. It is the setup that is downright very bad and wastes a lot of time. The application process went well and got approved in minutes.The issue is that the link to complete the link and setup of QuickBooks Online Plus with the payroll ad on take a back end engineer to tweek things so the Payroll and Merchant Services will work together on my account.The list goes on but I don’t have time to write about the very rocky journey getting QuickBooks Online Plus set up. Like in our industry, we have lots of different type of inventory, it takes too long for setting up. I've talked to the employer, and quickbooks deskktop enterprise is the most useful software in financial department. We will continue using it. "QuickBooks is an easy to learn, user friendly software"
QuickBooks is very easy to learn. Procurify purchase orders are able to be imported into QuickBooks, which reduces data entry. I like that Quickbooks is forgiving in the sense that invoices can be adjusted and deleted easily. I like that the reports are typically very easy to pull and filter. I like that you can send invoices directly from QuickBooks. Bank reconciliations are easy to follow. Vendor and Customer set-up is easy. I do not like that QuickBooks has a glitch that makes the balance sheet off until you log out and log back in. I do not like that QB will not accept POs from Procurify that have any symbols, such as a %. I do not like that you cannot see the account code used if a PO is imported from Procurify. Although entries can be easily adjusted/deleted this can cause problems if an uneducated accountant is handling the books. Very user friendly and easy to learn but it is very forgiving so entries can easily be deleted or manipulated so users of QuickBooks must be trustworthy. A new user can easily pick this up with the right training. Automating data entry using the memorized transactions feature. Keep track of all credits to ensure we are not overpaying any invoices. Keep track of all aging balances to ensure quick collection efforts. Reporting helps determine key areas business can save money in or improve in. I like the robust inventory, accounts receivable, and accounts payable modules of the Enterprise version. These modules really allow a larger small business, in particular construction, to do advanced job costing. You can attach payments and invoices to the appropriate customer with ease and see the profitability of each particular job. I do not like the functionality and performance of the real time bank connection feature. It does not work at all. The Online version of Quickbooks works seamlessly at connecting bank accounts to quickbooks and getting a real time feed of that information. Consider the Online version if you do not use to plan to use the inventory function. Quickbooks Desktop provides an easy to use solution for small business accounting that allows just about anyone to participant in bookkeeping and accounting in a small business. It also has job costing functions that allow Construction and other service type businesses to determine which jobs are profitable and which are not. "Precise and Great Sales Analytic Tool!" Quick books has a very clear and simple interface. All the different shortcuts are very useful, you can navigate easily from customer to the reports , vendors etc.. All the time , you open a customer profile, you can see in few seconds all the main information about him. In 2 or 3 clicks, you can switch reports and see with details active or inactive customers, all relevant information for the accounting and key numbers for the different sales reports. With Quickbooks, I dont use all the different interface. It will be great if we can customize the interface and make it even more useful and fast. All the time, you open a shortcut, it will open in a new page, sometimes you can have 10 different pages related to your research and it could be very challenging to navigate between those. Quick-books could be slow sometimes. It might crash, it depends how many people are using it at the same time. I will say QB is a great sales and accounting tool for small and medium company, when you are growing your team and/ or you use it everyday for everything, it is better if you get an update or a better version than this one. I recommend QB for samll and medium companies than need a quick, easy-using and detailed tools foe the accounting, sales reports and inventory track. QB is well structured with all details you need. Sometimes you have way too many shortcuts and pages, you can easily-be lost when you use it for the first time. QB is not the best tool for big company with more than 50 employees, because it can crash or bug easily when you have more than 6 people using it at the same time. When you have +few million turnover, all the info you import could be too heavy for the software. Most of the time, I use quickbooks to resolve the customer orders and pending sales. For each customers, you can see all details regarding the open balance and track unpaid invoices and late-paying customers. Moreover, I use quickbooks to do my monthly and annually sales reports by category and customers. You can also do a detailed inventory track and report which is very useful foe the shipping management. I enjoy that QB memorizes journal entries that way with one letter i can find the account i want to use and saves time during my day. If QB didn't have this quality i think many people would be frustrated with the product. I am trying to figure out why Qb balance is more than our bank statements right now and I keep undoing the monthly reconciliations but the benefit is that I can uncheck all checked transactions by undoing the monthly reconciliation. "Easy to use and recommended for small to medium size businesses"
Quickbooks is easy to use and easy to navigate. I have been using it for years and find it is perfect for small to medium size businesses. It has many capabilities I haven't even used yet but from using it for many years, I have seen a big improvement in what the program is capable of. I currently use Quickbooks with our other business software and it seamlessly imports everything we need. It also does this really fast and we've never had any issues with information importing to Quickbooks. The financial reports are also so quick to create! Quickbooks is not ideal for large or public businesses (lacks in controls), in my opinion. But this is fine because it is perfect for smaller to medium sized businesses. I believe there are trials of Quickbooks available and I highly recommend trying it because you will be convinced. It's a great product that has gotten better over the years and continues to improve. It is also very affordable and has capabilities that make bookkeeping a breeze! The business I work with now works in multiple currencies. Quickbooks handles this really well. I also find the tracking of capital assets very helpful! As the accountant for a small and quickly expanding business, I find that Quickbooks is able to grow as we do. It also produces very useful and easily customizable financial statements that provide my superiors to make important and informed decisions for the business. I like the ease of payroll, the add on applications that work seamlessly with quickbooks. There are a wide variety of training videos out on the web to learn about QB from. I do not like the job costing and how it is set up. It is not user friendly and you have to customize too many reports to get all that you need. I wish it was all in one place to simplify one of the big parts to any construction company. We are solving many problems such as cost of material and being able to track that better to see what our committed costs are. It does a lot for us when it comes to taxes and takes the guess work out of it. "The Most Amazing All-In-One Software Ever!" I can do everything with QuickBooks. From inventory to taxes, it is the one must have for small business owners. If you don't have QuickBooks, you are not helping your business. I think the saying, "less is more," is pretty accurate with QuickBooks. There are so many things in QuickBooks that I struggle every now and then to find the thing I am looking for at that moment. It is amazing. If you have a small business, you need it. Your business is right there at your fingertips. I do not know how a small business can run without it. I look a lot of things up in QuickBooks that I otherwise would not be able to find as quickly in the software we use for the purchase orders. I do all of the accounts payable/receivable in QuickBooks. "Great software for the right size company"
It's easy to get started with QB and, if you have any experience at all, it's pretty easy to use. That said, the quantity, quality and flexibility of the reporting is probably the best part about QB. You can report on anything in any level of detail, which helps to find both the good and the bad in your business! There are still some basic things that QB doesn't do well, such as the ability to reconcile bank accounts when you use a journal entry with splits against your account. It's a bit nitpicky, but sometimes I have to re-enter transactions to to back out of these types of situations in order to reconcile my accounts. In other words, there are things you have to learn trial-and-error. The desktop version is still far better than the cloud version (according to my accountant, who has to use both). I'm using QB to both run my own business and keep the books for a Boy Scout troop. Syncing with bank accounts is pretty seamless and tracking some unique needs for Scouting are both pretty easy to do in QB. Quickbooks lets employers create an account to track sales and manage inventory. It shows the customers names and all payments they've made, and any inventory they've bought. It has a lot of steps when it comes to uploading receipts, but it does allow for that to also help larger businesses specify the location, and accounts. Quickbooks will help businesses assess their market and sales. This will allow them to understand their profits and check the graphs to see a rise or drop within each month. Quickbooks has many tools that can make doing business simple. You can track expenses, and profits and stay extremely organized. You can also download the QuickBooks app and scan and upload the physical receipts as well or simply take a picture of it. I like the progressive invoicing option. It keeps more organized and I can track if they have paid only a portion of the invoice or the entire invoice. Also most features are very easy to use. My customers and jobs are easy to have access to and anyone with general knowledge can understand quickly what the situation is with every project. I like that fact that we can personalize our invoice and estimate sheets as well. I dislike the fact that it is somewhat difficult to set up the system for the customer to pay with a credit card easily. I still have not been able to properly set this up. I am not sure if the customer has to give me their credit card number and I save it in the system, or if they should input their information themselves, as they would do on quick books online. Also, also the email logging in that you have to do when sending invoices, after you are already logged on to the system is somewhat irritating. I still do not think that customers get to view the invoice when the open the attachment or click on the link. I always have to send a separate email with the invoice attached for them to view. It is definitely a great software to use for invoicing and keeping track of numbers. I would not necessarily say problems, but we are solving, invoicing, payments and expense tracking. Everything is more clear and organized now. Once invoices are created, customers can receive them and pay promptly. "Wouldn't use any other product"
I would have to say that the best things about QuickBooks Desktop Enterprise is the easy-to-navigate process menus on top of the familiar user interface (UI) for current QuickBooks users. It has a huge user community not to mention simple forms and report customization. A large number of standard and contributed reports mixed with excellent import capabilities makes this a no brainer. There are no Economic Order Capabilities and it has a basic low inventory warning that doesn't really fit my needs. There is no true central documentation which would make it easier to access and learn on the fly. Plus, the mobile access is an add-on service which is kind of a pain. QuickBooks Desktop Enterprise is a good intermediate step up for businesses that have outgrown other QuickBook versions. But it has scalability limitations and a proprietary database that might quickly constrain growing midsize companies. Business accounting made simple as well as organizing everything for multiple users. It makes it easier when it's a widely recognized system that many people are familiar with. ""Exact and Great Sales Analytic Tool!"" Fast books has an exceptionally clear and straightforward interface. All the diverse alternate ways are exceptionally valuable, you can explore effectively from client to the reports , merchants and so on.. All the time , you open a client profile, you can find in a couple of moments seconds all the principle data about him. In 2 or 3 ticks, you can switch reports and see with subtleties dynamic or dormant clients, all pertinent data for the bookkeeping and key numbers for the distinctive deals reports. With Quickbooks, I dont utilize all the diverse interface. It will be extraordinary in the event that we can modify the interface and make it much increasingly valuable and quick. Constantly, you open an easy route, it will open in another page, some of the time you can have 10 distinct pages identified with your examination and it could be extremely testing to explore between those. Brisk books could be moderate here and there. It may crash, it depends what number of individuals are utilizing it in the meantime. I will say QB is an incredible deals and bookkeeping apparatus for little and medium organization, when you are developing your group and additionally you use it ordinarily to everything, it is better on the off chance that you get a refresh or a superior adaptation than this one. I prescribe QB for samll and medium organizations than need a snappy, simple utilizing and nitty gritty apparatuses adversary the bookkeeping, deals reports and stock track. QB is very much organized with all subtleties you need. Once in a while you have such a large number of alternate ways and pages, you can without much of a stretch be lost when you use it out of the blue. QB isn't the best instrument for enormous organization with in excess of 50 representatives, since it can crash or bug effectively when you have in excess of 6 individuals utilizing it in the meantime. When you have +few million turnover, all the data you import could be unreasonably substantial for the product. More often than not, I use quickbooks to determine the client orders and pending deals. For every client, you can see all insights about the open parity and track unpaid solicitations and late-paying clients. Additionally, I use quickbooks to do my month to month and every year deals reports by classification and clients. You can likewise complete an itemized stock track and report which is extremely helpful adversary the delivery the board. "Great accounting system but lacking in Inventory Control and other functions"
The thing I like the best about QuickBooks is the ease of use of the system but that is probably about as much as I can say that I like about it. I dislike the inventory control features in the system and how difficult that one module is to operate. It is supposed to have serial number functionality but trying to use if for such is next to impossible! If you are looking for something that is just an accounting system then I think you will be happy with Quickbooks. But if you are looking for something that is going to be meatier and more dynamic then keep looking. Quickbooks is great for accounting but lacking a lot in CRM and inventory modules. None...in fact we are in the process of migrating everything out of Quickbooks and into NetSuite OneWorld so that we have all of our companies in one location. The user interface and organization seems to be easy enough for most people to navigate. Great for a single accountant or small business with minimal experience. Simple to use interface and easy to understand reports. Widely used, so easy to find and accountant who can operate the software. Has it ability link into TurboTax for simplified end of year taxes. Part of it Intuit suit of software, so data is more portable between different intuit products. Antiquated networking technology; I would not consider this an enterprise grade application. It works fine as a local file on your hard drive but doesn't seem to have been designed with networking in mind. I've experienced nothing but constant issues with multi-user file access, I do not recommend this software for a multi-user environment. Integrations are not easy to implement, you are better off with more modern cloud based software that has a fully developed and standardized API. Carefully evaluate your needs before selecting this software. There are a lot of better alternatives in various cloud based solutions. It fulfills the need for an accounting software. Helps with sending invoices and retrieving payment from customers. Useful for reports and online banking. "Most user friend business software "
I like that this software is so easy to use for any user and any level. It has so much information online and in the help section if you do have a problem you can usually fix with out calling in. But actually they do not charge you a fee to call in anymore and you have an account representative that will literally help you with anything. I have recommended Quickbooks to several people that have businesses looking to change the software they use. There is really not much I dislike I would about this software. I actually can not think of anything I dislike about it. I highly recommend this product to anyone with a business. This has been the most user friendly program I have ever used. It is fast and efficient at everything I need it to do. Payroll is so easy and no stress. If you ever need help or have questions they have an amazing support team. You do get an account Representative that will be there to help you should you need anything. You will not be disappointed with the purchase of this software. It has become the only software we need. This program does financial reports , Has spending and profit reports. We can make journals for everything and can enter in all miles and gallons needed for several states we report to. We only need on program and we only need 2 people to run the office now. It have saved us money in more ways then one. Very bad performance issues when 7+ users are logged in. QB starts freezing and we have to kill the program multiple times per day. Bad user support. We've been working with Intuit support on resolving the issue for a few months now and they keep doing the same things that don't help. We work with one rep, and then schedule a call back, and they don't call back or call back at completely wrong time, or a different rep calls back and we have to go over the whole story all over again. On top of that, Intuit strongly recommends to have only 2 years of financial data and transactions in a file. It's very hard to do any kind of forecasting or trend analysis with just 2 years of data. It works perfectly fine for small business but once you start growing and adding more users, it stops working properly. "Best way to manage your own books"
As a business owner, I need all the help I can get when it comes to managing finances and everything else that goes into daily operations. The best parts about using this software is the ability to manage everything under one program, for instance, managing accounts receivables and accounts payable, which are the backbone of what keeps me in business. There is nothing that I can truly say that I dislike about using any of the Quickbooks softwares. They are created with the average person in mind who wants to start their own business and do not have any idea where to begin. I highly recommend the Quickbooks family of software programs to any persons trying to understand how to run their own company. I found it incredibly easy to learn since I had a background understanding of how bookkeeping worked. I have been able to manage my accounts better, especially my accounts receivable and accounts payable, for my business. I have been able to work on other aspects of my business now instead of worrying about if I am doing my financials right or not. figure out how to get the copy paste to work correctly. there are times that we take information from excel and put it into the qb and when we do this, we lose formatting or have other odd quirky issues. i know that is not a huge issue, but it gets annoying for us. Sales orders for our sales. Sales tracking. Purchasing / purchase order tracking. Inventory. The benefits are numerous. The best is the fact that the info I need to find is easily and quickly found due to the easy to use search features. 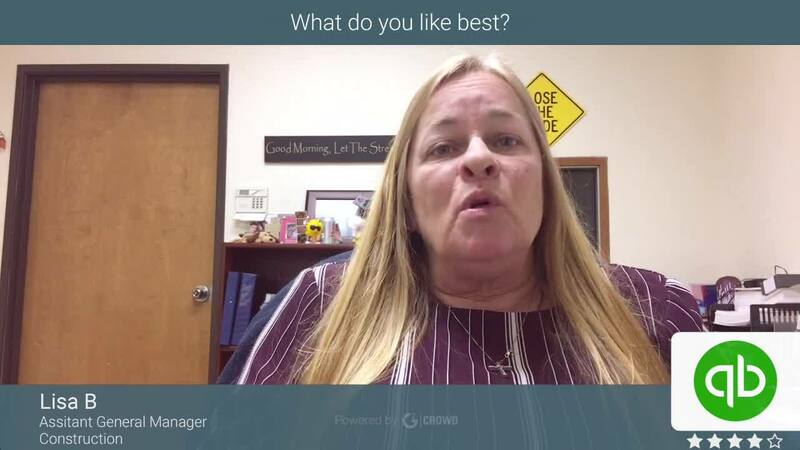 "It's a well known, reputable product "
Quoting, Estimating, a basic CRM, Inventory Management, Bookkeeping, Project and Financial Accounting, Payroll Capabilities. Easy to use and has been around for so long, that all kinks have been pretty much worked out. Great online knowledge base and community. Great product that has been around for a long time. Great online support, many possibilities that take care of pretty much every need for small to medium size business. "Quick Book Pro software review"
the software has a lot of brokers and sometimes they scam users. I one bought quick books pro from a broker in my country, but he never deliver. The same time I bought the product but was given a fake product key. QuickBooks is the best software to use as an accountant. Any company that wishes to increase efficiency in accounting services should try this software. It is cheap and affordable.and it has a one-month free trial. Prices range from the US $4-20 per month. Checks,Trial Balance,Taxes, Payroll, account receivables, account payable, business inventory, I basically use for accounting services. "QuickBooks Desktop Does the Job for 99% of Our Clients"
I like the flexibility. You can set QBES up to be very simple for ease of use by the client, or it can also be very complex allowing for complex inventory situations and job costing. Plus, there are a ton of add-on applications that expand it's capabilities even further. Probably the think I dislike the most is the fact that it is so easy to modify an existing transaction. The good news is that there is an audit trail, but that adds a whole extra level of documentation that needs reviewed to resolve a problem. If your business deals with more complex situations such as job costing or heavy inventory requirements, QBES is the way to go. We have a ton of clients that use QBES and we also use the software as outsourced accountants and bookkeepers. We are handling every day business transactions and much more, including inventory management and job costing. It is a fairly easy to use system, I wouldn't say it is as intuitive as other softwares, but still simple to use. There are extensive resources on the web for reference. Since the software isn't cloud based it reduces my ability to access remotely. It lacks many features that would be helpful: budgeting, fixed assets, reporting, access to budget managers, etc. Works great for small and simple organizations. Easy to use and easy to learn. All information is easy to locate and mastering the program is not very challenging. Easy to see customer transactions, balance, payments, etc... Same for vendors. They also have a lot of reports that you can run to look up specific transactions and find trends in sales data. The program can integrate with many different types of software which is a huge plus when dealing with online retail and wholesale orders. The inventory functions are limited with this software. Does not give you the ability to build kits or create different products from the same item. We need to use a different software for order entry and inventory tracking. Great software for analyzing company data and financial information. Does a good job at keeping track of customer order information and payables but can be improved in it's inventory functions. Integrates very well with multiple CRM programs, True Commerce EDI and Unify. Organizing company financial data to see in a single screenshot. View reports and balance sheets to determine profitability. Paying bills and accepting payments with ease. Allows you to view customers with an open balance in one quick view. "love the 24/7 access from anywhere!!!" I love the easy access I can have to any of my clients account from anywhere! I like the that I can use estimates to send to clients and that I can convert it later to invoices. I also love the automation tool for invoicing by email, its really one of the best things I like from this. Because of the price, is a little bit difficult to offer, since they will compare it to the price of desktop versions and that it doesn't have some of the features they are used to in the desktop version. The bank reconciliation is good, tho sometimes can be a little confusing, but its a great tool in general and really easy to use. I hope they add more tools like the Enterprise Desktop so I can convince my clients easier to change to online,. I would love to see a reduction on its price, but its price has been going up lately, and that's one of the most difficult point s when I'm trying to convince my clients to change. It is a great tool for accounting, I recommend it to simple small business. I'm using it with some clients that are always on the move, so is easier for them to have access to their finances all the time. "Quickbooks user for 15 years"
Quickbooks is a universally accepted accounting language that links with many other software packages. It makes our accounting quick and painless. Training is easy to come by for the program. There are some clunky features. For example, tracking employee wages in multiple municipalities is very limited. We switched payroll to fix this, but still use QB for all other accounting functions. Again, seems to be the best accounting software available for very small business (less than 5 million?). The payroll is great as long as you don't need to track a bunch of municipalities. We like all the automatic features available. When we switched to a seperate payroll processor, we found the QB side to be so efficient we really don't save any time...just a bit of hassle (and it fixed class tracking for us). Reporting is great-we can get excellent accounting reports. I like that all the functions are simple to find and reports are easily found and generated. I can make a customer statement with just a right click which is much easier than our other system. Any payments put into Quickbooks can be altered which is wonderful if you somehow make a mistake. To do certain things you have to be signed in as the admin and not a tag along underneath the admin. We use it with Acctivate which helps a lot. There are certain things it just is painful to use by itself. We use it for our vendor payments and to input customer payments. We started using Acctivate along side it and it has been really handy writing back and forth. "Easy to learn easy to use. " Out of all of the Quickbooks products that i have used, I would have to say that Enterprise solutions seems to be one of the easier platforms. Once you learn how to use it, it is pretty much like clock work. Also the customer service for enterprise is the best of the quickbooks tech support as they are located in the united states so they are not just reading a script. They are able to log in to your system remotely and help you with any issues you may be having and come up with a solution. There is usually a very short wait when it comes to calling Enterprise support so you are not sitting in a que for hours waiting to speak with someone. There are a few features that I wish that I was able to turn off such has the site for inventory tracking. We only have one location that uses quickbooks but it makes me assign inventory to a certain location each time. Quickbooks is great for tracking inventory as well as vendors of where you get each supply from. We use Quickbooks for every function of the business from inventory tracking, to payroll. Accounts receivable and accounts payable. "Quickbooks Enterprise is best for Business with large client database! " With Enterprise, I can easily switch through different accounting perapectives, generate real time reports and integratedifferent payment options, billing options and the Best is the interface and templates. Plus the community is really helpful. your most pressing questions, the community got all the answers . Quickbooks boasts many pro advisors who are experts in optimizing your use of the software. the customer service is great too. Enterprise offers other functions such as the payroll and tax payments on a different subscription. Being able to cut costs is a must for each business. Accounting and Financial status is a critical part of business. Quickbooks gives you a clear view of where your business is. I use Quickbooks everyday for accounting and finance purposes. This program is essential to our operations, and once you learn all of the uses and features, it is very user friendly. There was a day when our file crashed, and it put a halt on our productivity that day. Our department is very dependent on Quickbooks, and when it is down or going slow, it is frustrating. We are able to create profit/loss reports, expense reports, other useful financial reports and this helps not only my department, but the company as a whole project future decisions. I have recently started learning how to use QB and found it quite easy to use and when I had question, I could click the help button that always answered any question. 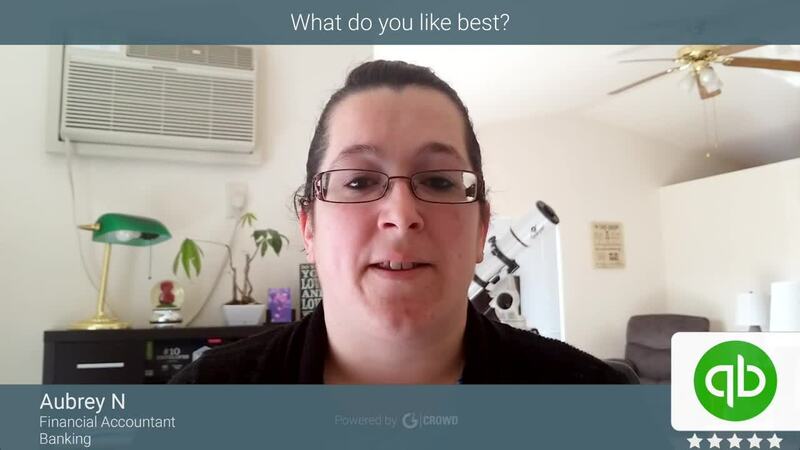 I was able to track sales, cost, do payroll and it is right at my fingertips. There isn't anything I dislike about using QB. I wish I had learned how to use it years ago. Don't assume that's it hard to learn or not worth the money because this is a wonderful program and worth the time to learn it. It will simplify your life and help you grow you business. I am able to track company growth from past years, know who my best customers are, where I can cut cost and where my best sales are at all times. "Everything I need and more"
Seems to lag behind technologically - with web mail integration for example. It's very likely that the basic version of this software will do more than you're doing now. Intuit has moved to a mass selling - phone and chat center style of support which is appropriate for the price of this product. If you want on-site consulting and a lot of direct hand holding you'll need to pay a LOT more. Save yourself a lot of money, QB is such an industry standard you can get online support that is more than adequate. Full accounting reports, analysis and operations. I like that I’m able to do everything accounting related within this system. I can do AR, AP, credits, refunds, reports, and payroll with Enterprise. We used to have to go to multiple systems and it was so time consuming. With this everything is in one place so it’s perfect. I dislike that you have to do vendor credits differently than you would do them if it were a credit card credit, or a credit memo. It slows me down. Honestly if you want to cut down time spent on accounting and if you’d like for your accounting to be in one place, I would recommend this product. We became more efficient when we started uniting QuickBooks Desktop Enterprise. What would take us all day, now just takes us a few hours. "Quickbooks Enterprise, A Solution for Contractors"
I like Quickbooks Enterprise for larger clients that are on an accrual basis. It is a great solution for tracking accounts receivable and accounts payable. It is also a good solution for tracking inventory. I like the ability to enter in inventory and then apply it to invoices. A plus is the job costing feature which Quickbooks Online currently lacks. The linking of the bank accounts is almost unusable because only the owner of the bank account can have access. If the owner of the bank account does not want to give his main access user name and password to his employees, they will not be able to link the bank account. Quickbooks Online has corrected this issue and as a result Quickbooks Enterprise will slowly be phased out. Do not go down this road....go with Quickbooks Online. Good solution for large organizations, solves the problem of tracking inventory, accounts payable, and accounts receivable. This program is extremely user friendly. We have converted all of our business to the QuickBooks platforms so that our owner has continuity across a clothing store, construction company, and a professional laundry service. One office manager can technically run all three businesses. Automatic updates for payroll service need to be double checked to make sure individual withholding or reporting rates are not altered or incorrect when new rates push from QuickBooks. Do it! Its user friendly and has great US based support. Continuity across multiple businesses, has given the Office Manager for our construction firm the ability to train and update the staff our other businesses even though they are so vastly different! Great software that is easy to learn but still provides all the reporting and income tracking needed for large scale construction and inventory management for a laundry service and commission structures for the clothing store! The cost to make QBE online . To have cloud access the increase in cost is just too much and not worth it. Only purchase if QB Online does not meet your needs. We outgrew QB Online and when we went from QB Pro to QB Online, the transfer of data was a nightmare. "Perfect for Small Business Needs"
It's versatile! QB is useful for the start to the end of the job. From setting up clients for proposals and quotes to invoicing. Being able to perform multiple accounting functions in this program make my tasks simpler. I can export documents and send them directly to our accountant, send invoices directly to customers, manage my banking and do payroll. It can be very overwhelming for first time users, but provided training and a little practice makes this system great. There's not much else that I dislike about this program. It can be a little slow at times but the amount of functions I can do outweigh any dislike. Don't hesitate to use it, or call support when you have questions. This product is awesome. It's my all in one shop. Before I outsourced payroll, I used QB. I can manage my banking, audit reports, customer accounting, and so much more all in one program. I have more time to work on other duties since I don't have to use 4 or 5 different programs. I dislike that some of the features don't filter by things I want them to - like the audit trail as a primary example. I also strongly dislike the graphic user interface - I find it annoying in general and use the menu bar to navigate or keystroke shortcuts. 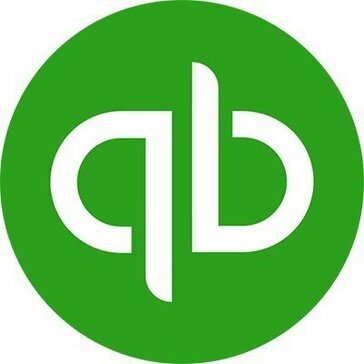 "Review for quickbooks desktop enterprise"
Lots of hidden function which I think it's kind of difficult for a beginner to start and learns, the software should provide more tutorial and help , and sometimes when the financial statement or data is large, it could slowdown the computer. The most basic funcation such as entering joural enetry is very esay but the it could be a challenge to manipulate the data. Need to watch tutorial and understand the business before use, also, must pay attention to details. Input journal entry, create financial statement as well as trackback previous financial information. The benefit include quick input and easy to track back and fix the error , and it's very esay to transit between the quickbook itself and excel. "Does not meet our requirements"
Easy to use ... too easy. You can get yourself into trouble without much effort. Does not require actual understanding of accounting principals, which is both good and bad, depending on what you want to be able to do with the product. For me, this is way to simple. The inventory section is lacking, and the entire process takes too long. 10 minutes for a build? We have this hosted with our dealer. Should be onsite / local. The windows for data entry are always changing the column widths. Very frustrating. Remedies are provided but do not work consistently. I don't recommend for manufacturer with more than 500 inventory items, or builds that require sub assemblies, etc. The only benefit is that it eventually will allow you to get your work done. The GL part of the program and the drill down capabilities are good (mostly), but the bad things out weigh the good things. Would probably be good for a smaller company, although ours is fairly small. We have > 1500 inventory parts, and that bogs down the entire system. "Easy to use Accounting Software that's an okay choice more small to mid-sized companies." Quickbooks user interface is very clean and easy to use. All basic accounting features are laid out and can be accessed easily. One of the best features is that due to the popularity of Quickbooks, there are a ton software and programs that can be synced to it. Importing CSV files to record large amounts of data is easy to do. The ability to access prior records and edit it is bad for proper internal control. Quickbooks can become "buggy" at times which makes it very frustrating during the month-end close period. Quickbooks is the standard accounting software for smaller companies. The price and ease of use makes it a easy choice. We use Quickbooks Desktop Enterprise for our basic accounting needs. It's easy to use and the ability to sync with multiple outside programs helps save us a bunch of time. Bad database design, locked down (in terms of accessing data). Reports are limited and not easily customized. Not easy to do simple things such as sort by columns, search for customers function is a little weak - it takes a long time. Generating custom reports can take a long time and potentially lock up the application. Make sure to read the documentation thoroughly. To ensure that the product is used properly. Customization is allowed but not supported well in the program and database. Would recommend adding something like QQube to enhance the custom reporting capabilities. The reporting within Quickbooks can be rather clunky and difficult to work with. Would also make sure your process flow chart matches QB's flow chart otherwise it will be challenging to customize. Also - there is no way to connect Sales Orders to Purchase orders. Basic Accounting. Able to manage finances. Overall customer management. It also houses all of the data for our custom reporting. The basic reporting is pretty helpful as well - although somewhat lacking. I am a relatively new accounting professional, with limited accounting experience. I have been using Quickbooks Desktop Enterprise and it works well for my company's needs. It was easy and fast to learn how to use, and helped reinforce accounting principles I was taught in training. If I need to perform a new-to-me task, it is usually very simple to figure out on my own. I work with multiple entities, and it would be nice to have more than two companies open at a time. It may just be an issue with my PC, but it is very slow to log in to a company. It typically takes around five minutes to log in. I spend a lot of time switching between.companies. My primary job function is AP. Quickbooks allows me to handle these tasks with ease, and re-bill expenses to our customers. "Complicating the Business Of Life"
Your slogan "simplify the busness of life" is not true. Intuit has manged to complicate it unnecessarily. First off, customer support is the worst of any large company, and that includes the notorious phone and cable companies that I have ever experienced. I am a small business Enterprise customer and yet no direct lines to its people. Intuit outsources it's customer support to call centers(mostly the Philippines) and while they may be able to speak English, they do not completely understand. I had to repeat my requests and questions several times before I got any semblance of an answer. No 2- Intuit, by default, puts you on an annual payroll auto-renewal-great for the companies, bad for customers. You cannot change this through Enterprise desktop app nor on-line. Therein lies the problem. It takes multiple calls, transfers, and hours waiting(not an exaggeration) to get to the right department. This is a total waste of time and hugely frustrating. No 3 Quickbooks keeps increasing the amount charged every year for payroll(I have the desktop enhanced payroll version). Why? Nothing new has been added. I have left three messages to a small business Enterprise representative I worked with last year(yes managed to get a number miraculously). No 4. Just got off a call and was on the line for 1 hour(and another transfer) and still no resolution to my annual payroll questions, or trying to find out more about Enterprise 18(which we have been considering upgrading from Enterprise 15). By the way, the website for Quickbooks Enterprise is experiencing problems so can’t get info there. This has tested the patience of the most rational reasonable person. We may be going a different direction next year because of such poor communication, contact methods, and customer service. "Gets the job done- quickbooks"
I liked best that I was able to print my data in the same format and I was seeing it in the system. In my office, we sadly used paper as much as we used the computer. I disliked the speed of the system. Sometimes with too much data, it would start to slow down and cause me to work slower. Thankfully, it never fully crashed on me. Maybe a way to make this easily usable for individuals who need this for personal accounting. For example, with no experience in bookkeeping and reconciling, there is no way I would be able to know how to use this software easily. As with any software, there can also be an interface upgrade to make it more user friendly. I was bookkeeping for my company's clients. When I started, I had some reconciling to do starting from 10 years prior using the client's bank statements. I realized that Quickbooks was the best way to do this without having to manually reconcile the books. "Quickbooks has been around for a long time because it's reliable"
Quickbooks has always been the affordable and reliable way to conduct business. You can choose what plan you want, if you do the online version, starting at $15 a month for the most basic or up to $50 OR you can buy the Desktop Professional for $300 (with only one user). There are also add-ons you can purchase for different prices, such as varying levels of payroll. For a small church like ours we only need the one desktop plan. I like everything about working with Quickbooks. It's a great, user-friendly program to use! If you are unsure if you want the desktop version, I would recommend doing a monthly trial of the online version which I mentioned earlier. We use it to track employee's times and for payroll, mostly. We may start using it for other things later. I am not in charge of decision making or I would definitely be pushing to get it for our company! "Mainstay for Small Business. " Creating a new company within QB's is simple, easy, and straight forward; as well as using the product itself. I maintain multiple companies within QB's, combining Financials from multi-companies makes it easy to see the health of your business without potential user error. I use QB's on a server with multiple users, it has a tendency to timeout and crash often. When it does crash, the user it crashed on has downtime while QB's finally logs that user out. QB's need to add a Force Quit / Log off User for Admin's. QB's is tired-and-true; you own the software and your data is not at the mercy of cloud based systems with monthly subscriptions. It is not a full robust ERP system, so don't expect that. QB's is used and updated daily. It allows me to see my business real-time, update my forecast based on factual history, and produce financials on the fly. Learning about Quickbooks Desktop Enterprise? * We monitor all Quickbooks Desktop Enterprise reviews to prevent fraudulent reviews and keep review quality high. We do not post reviews by company employees or direct competitors. Validated reviews require the user to submit a screenshot of the product containing their user ID, in order to verify a user is an actual user of the product. Hi there! Are you looking to implement a solution like QB Enterprise?